In a previous blog post I showed you how you can setup unit tests to run in memory when testing ASP.NET Core & EF Core applications. But what about when you want to deploy a new application built on .NET Core. 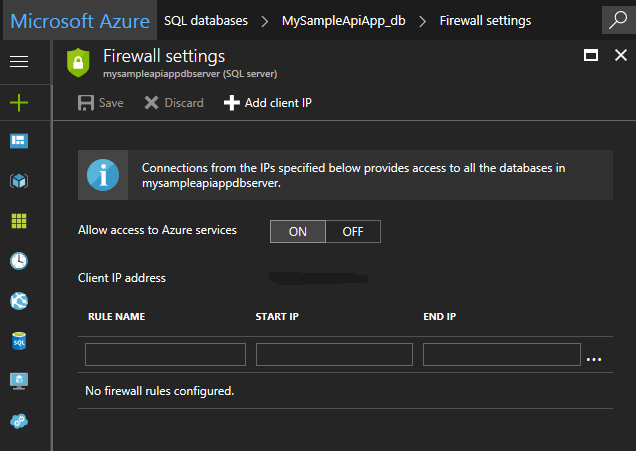 In this post I outline the steps that are needed in order to build and deploy an ASP.NET Web API application to a Docker container hosted in Azure. I will walk through the steps needed to do a deployment into a new Docker Container, using Visual Studio 2017, along with a new set of Azure SQL databases. Note, the process outline here is very simple and will not scale beyond an individual developer's prototype environment, so consider this a simple introduction rather than a full solution for a team project. Windows 10 as the main OS. 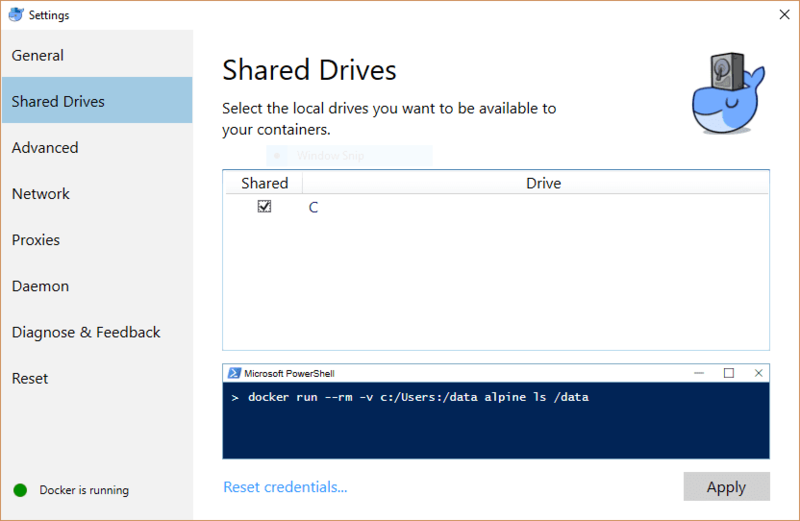 Install Docker for Windows by running the installation file downloaded from the stable channel and following all the default prompts as indicated in the Docker installation wizard. Once the settings are done, continue with the next steps on the installation wizard and finish the install. 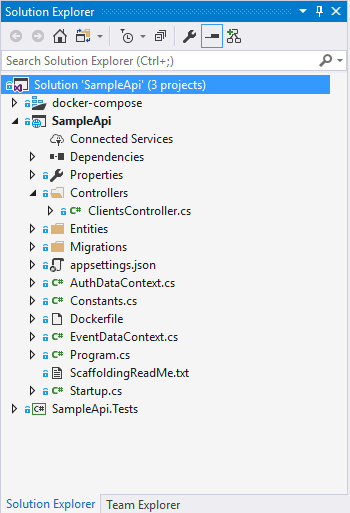 Before diving into how to deploy the application, it would be good to know just a little bit on how things are setup in my test sample project. 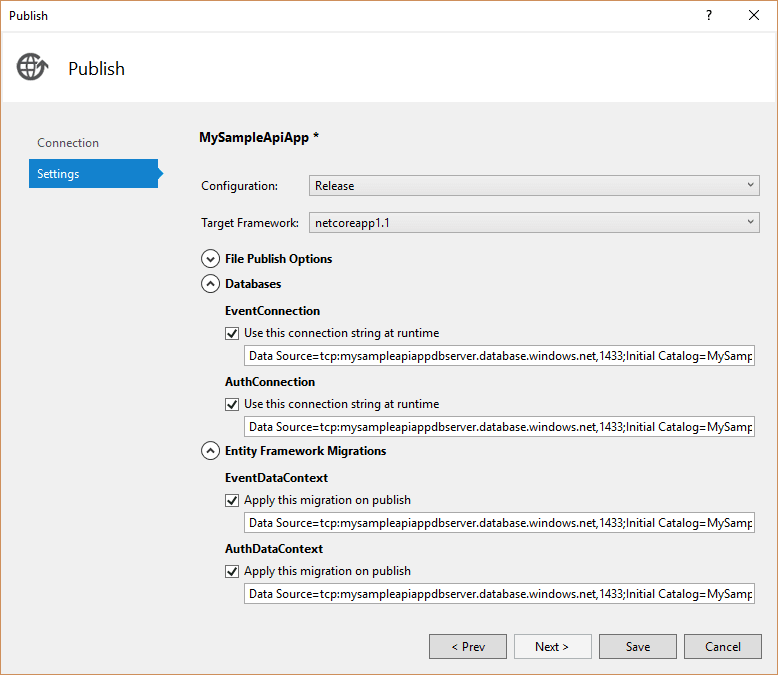 So in my previous post, I had separated the different layers (Data, API) into separate projects, however, when deploying through VS2017 I encountered some limitations in the Visual Studio tooling for Entity Framework Core (1.0) migrations. Essentially doing data migrations for projects outside of the current deployed project do not play well. I am sure this is because these are still relatively early days for EF Core and the tooling will eventually catch up, but for now everything in the sample is pretty much in one project and organized in data folders. However, I will not dive into the inner workings of the actual sample project in this document since it is not as relevant to the deployment piece. Once you have all the tools installed and the source code for your project, open up the solution for your API Project and conduct a Build in order to make sure everything is working as expected. 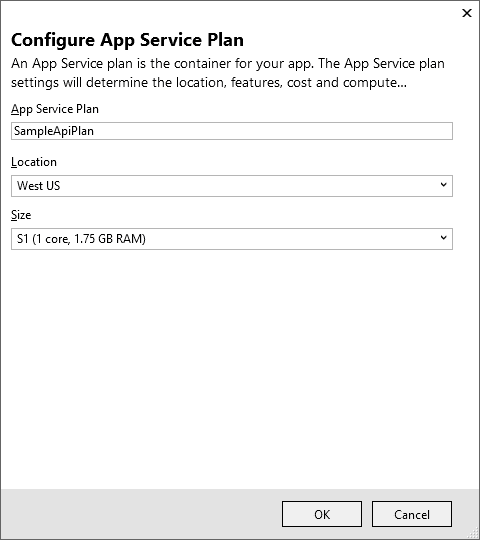 In the section above the App Service Plan is configured on the 'West US', thus ideally every other item in the deployment configuration should also be configured in that same location. 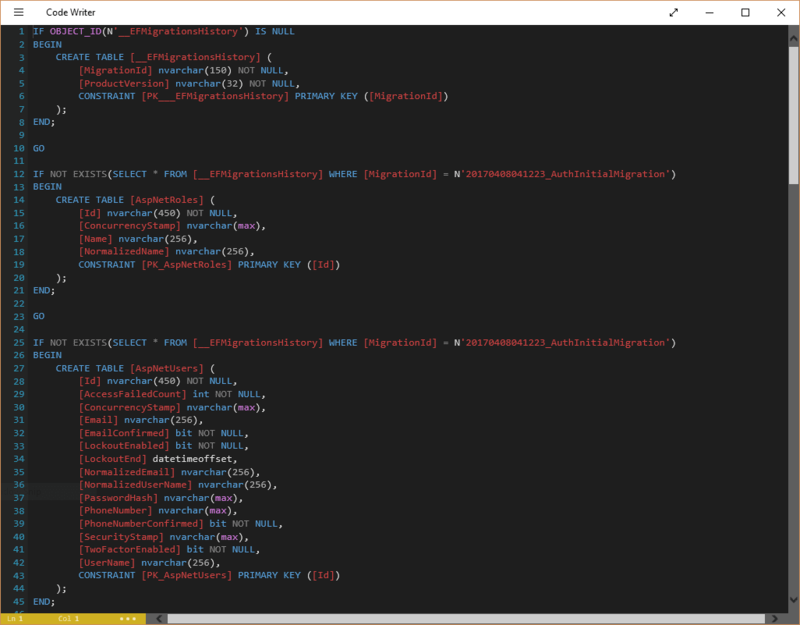 This may not be always what you want to do, but in this specific instance, this is the desired configuration output. Choose a Server Name and fill out the rest of the inputs, make sure you use strong credentials for your server configuration. Press OK to return to the previous configuration window. 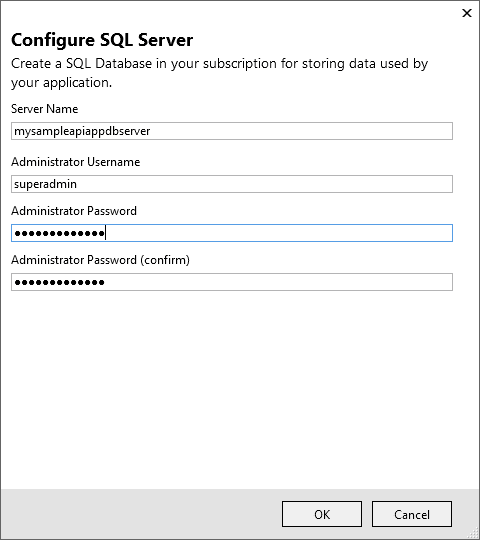 Your configuration for SQL Server and the databases should now be ready to be created. Noticed that the project has two databases that will be deployed along with their respective Entity Framework Migrations. 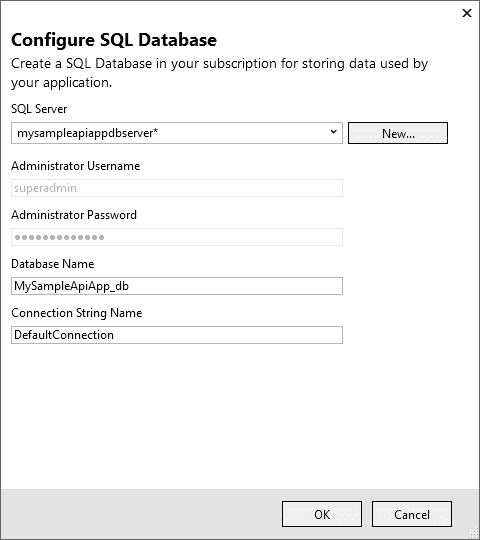 This is a nice feature because you can deploy multiple databases at the same time, such as an identity database and a product database. So at this point everything went according to plan, your deployment may succeed. 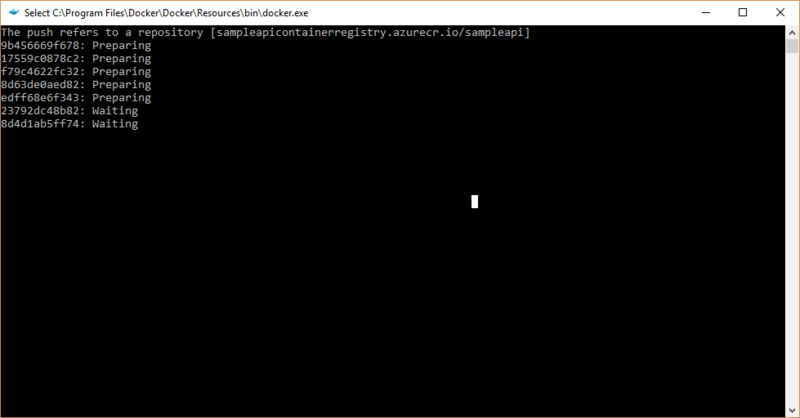 However, I did experience some failure at first, and there are some reasons for that, but essentially the bottom line is that deploying to the Azure container service is still a work in progress. 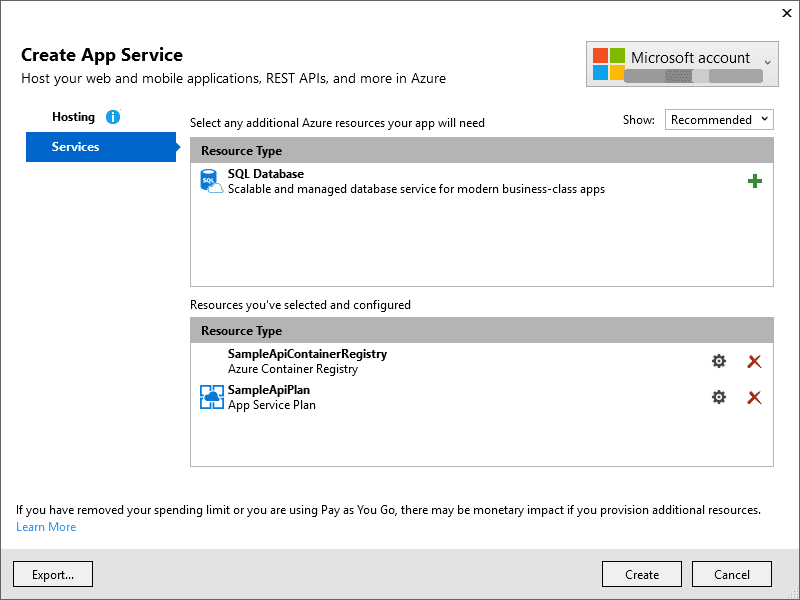 If you notice earlier, the Azure App Service deployment had the ‘Preview’ label printed on it, so we should expect that a few kinks are still being worked on. Nevertheless, let’s see how we can fix some of the possible deployment issues. Due to the fact that the firewall rules were not in place, the database deployment would have failed. If that is the case, then you will have to conduct a work around to get the database updated. On that note, the SQL script is also idempotent, which makes it nicer to run it again, if you need to, without a problem.